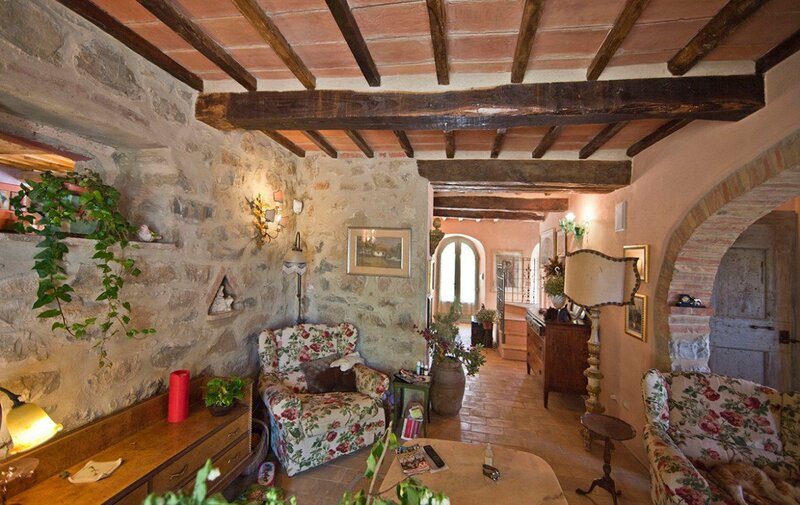 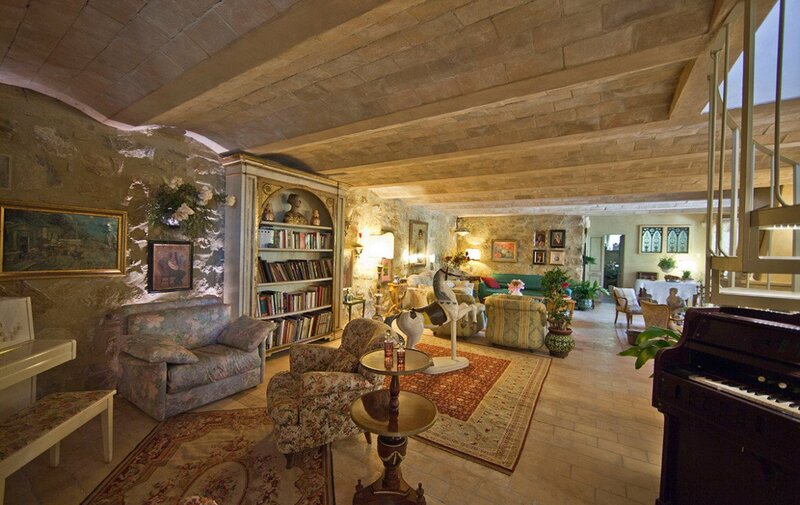 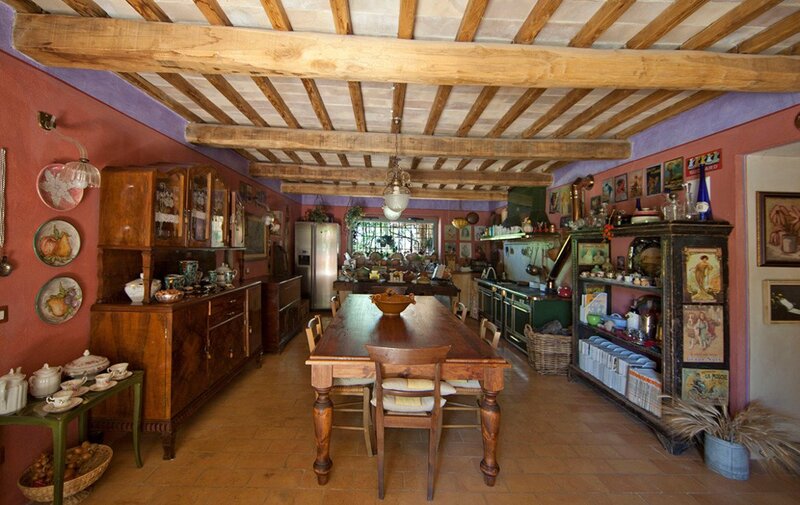 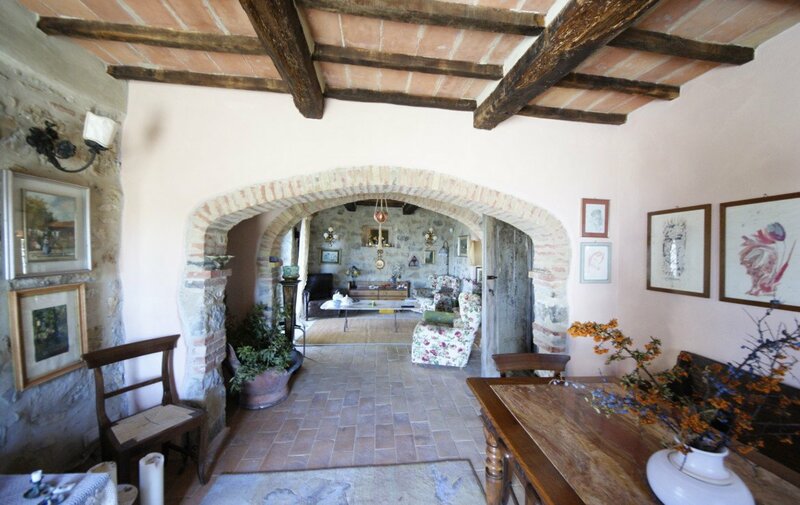 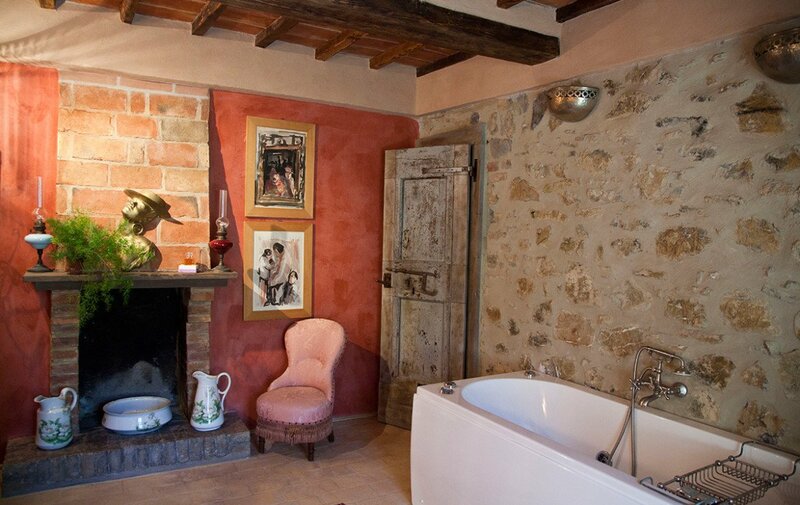 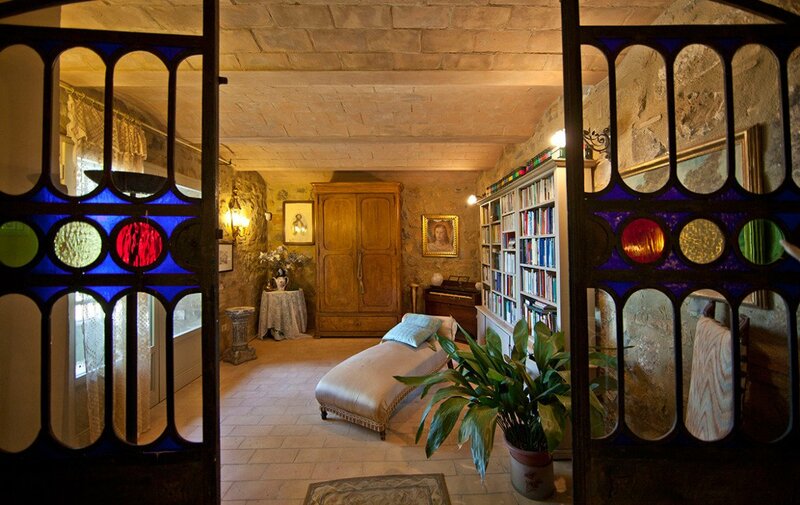 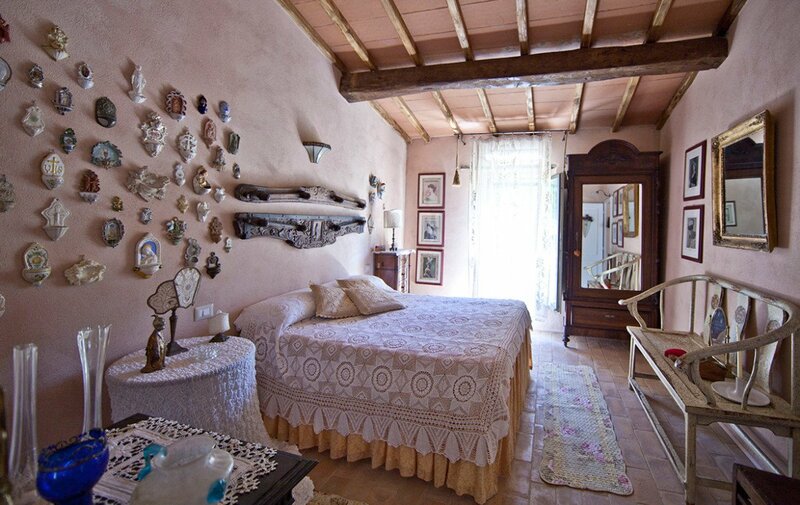 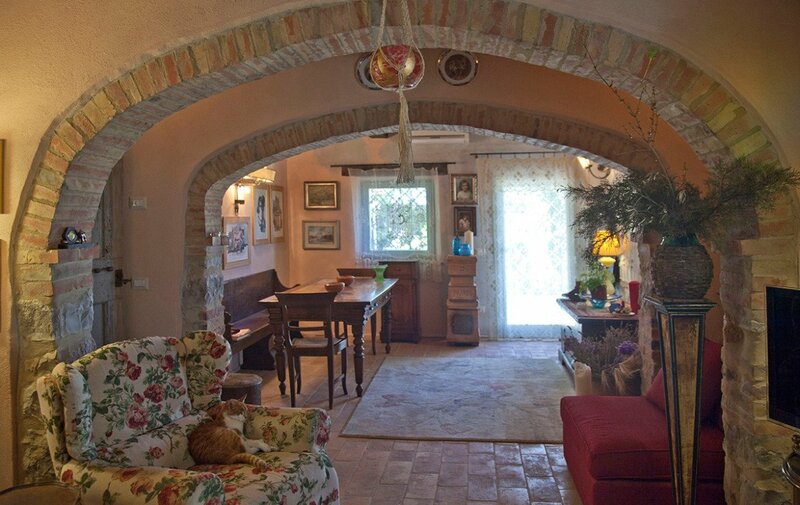 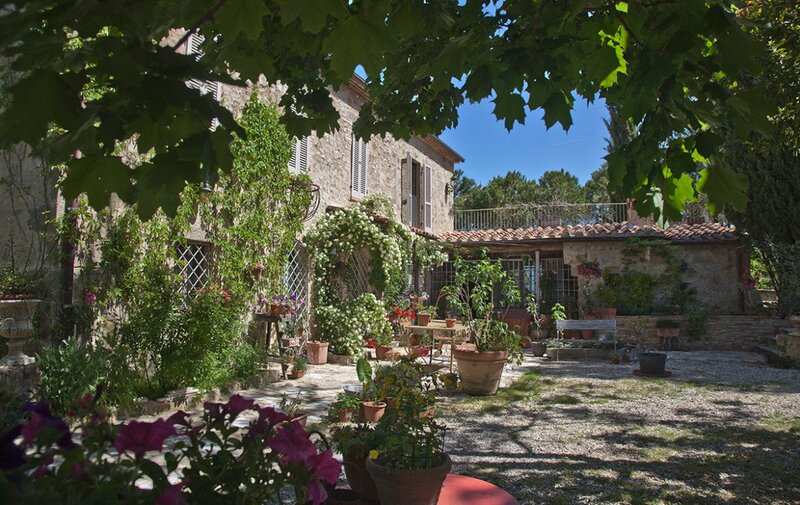 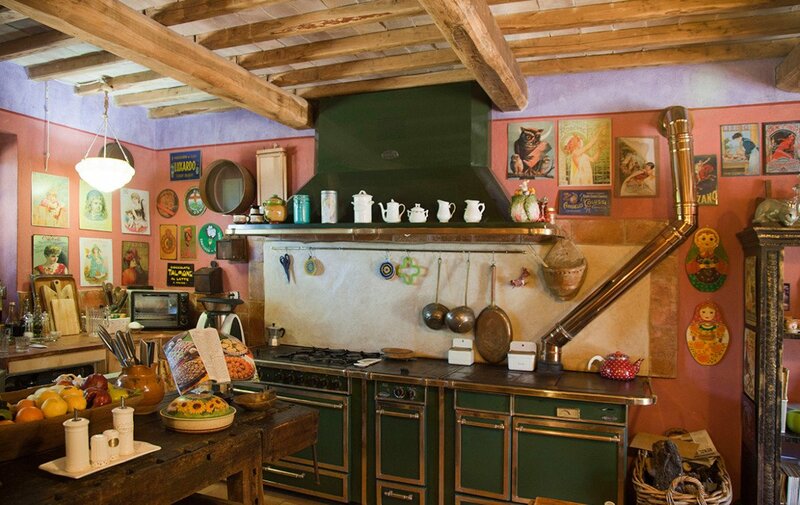 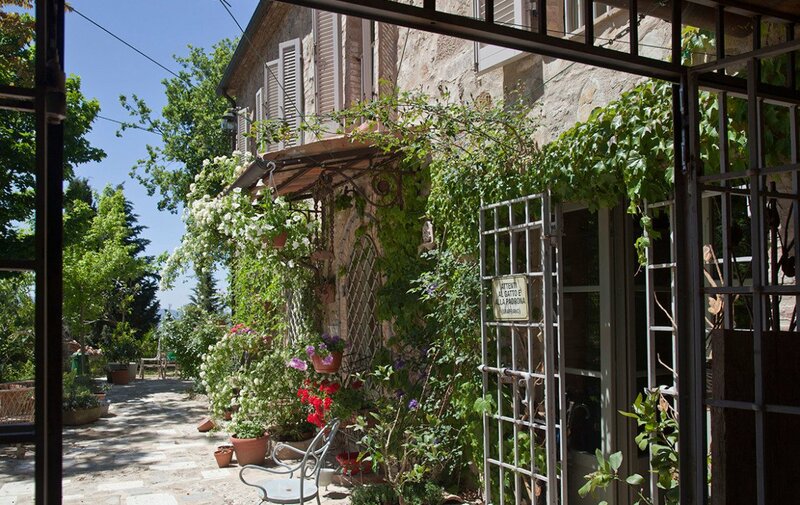 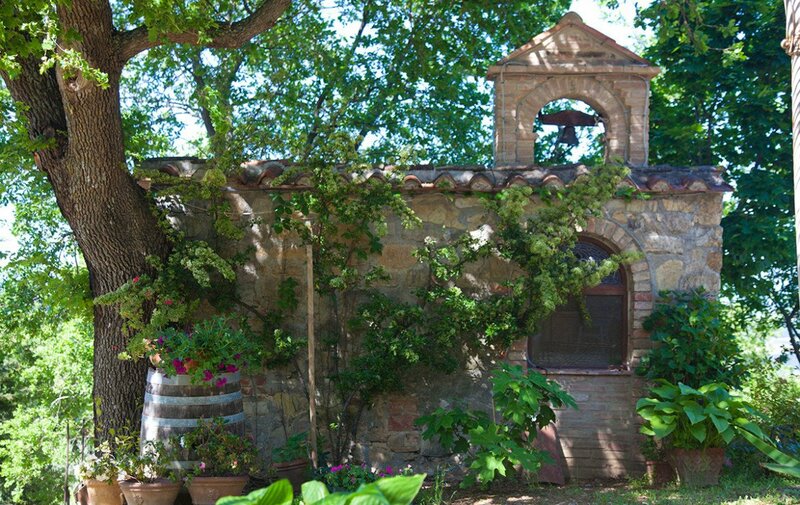 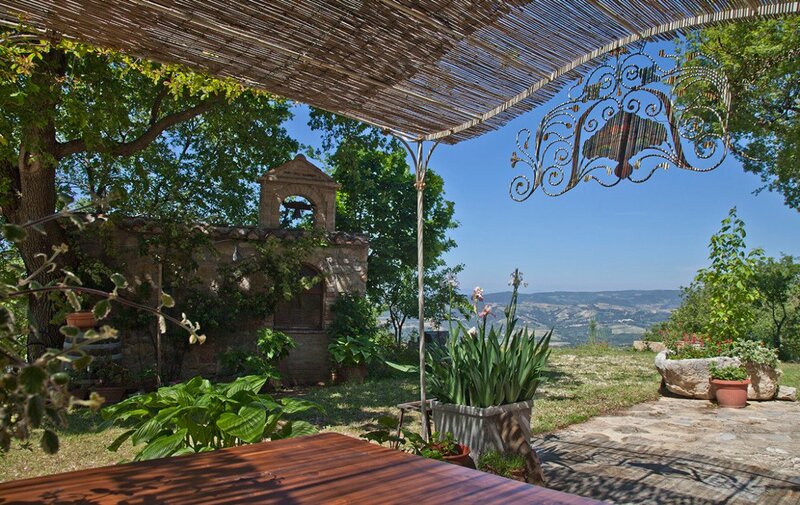 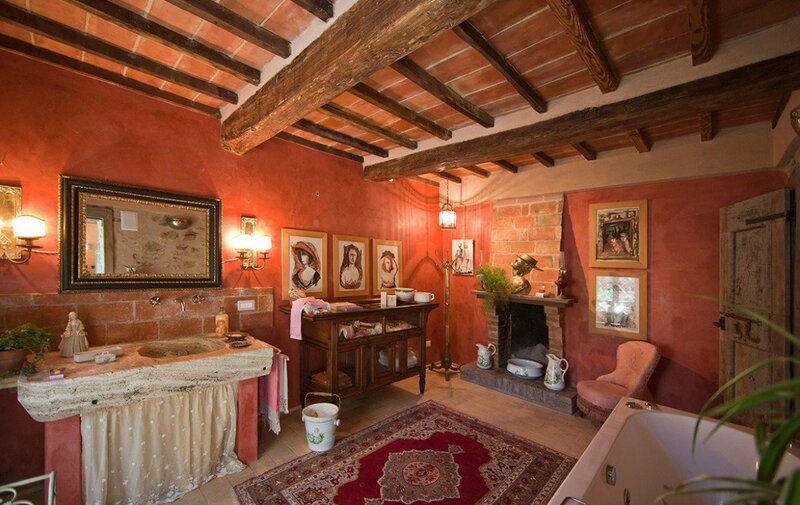 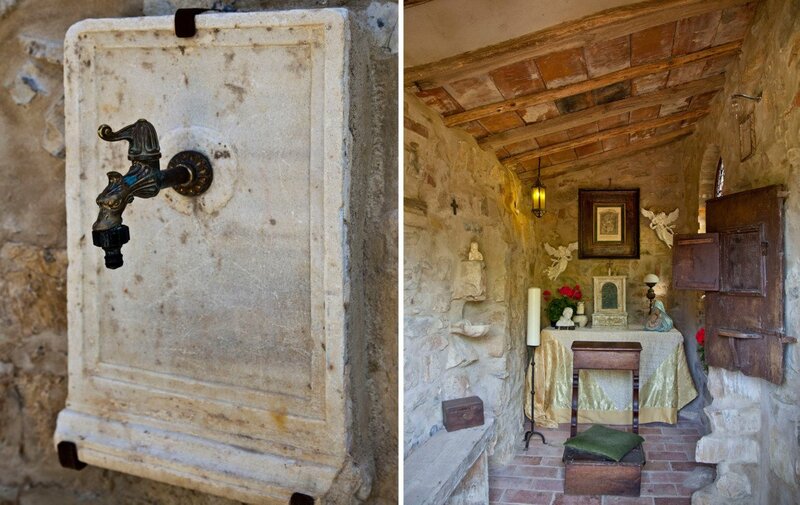 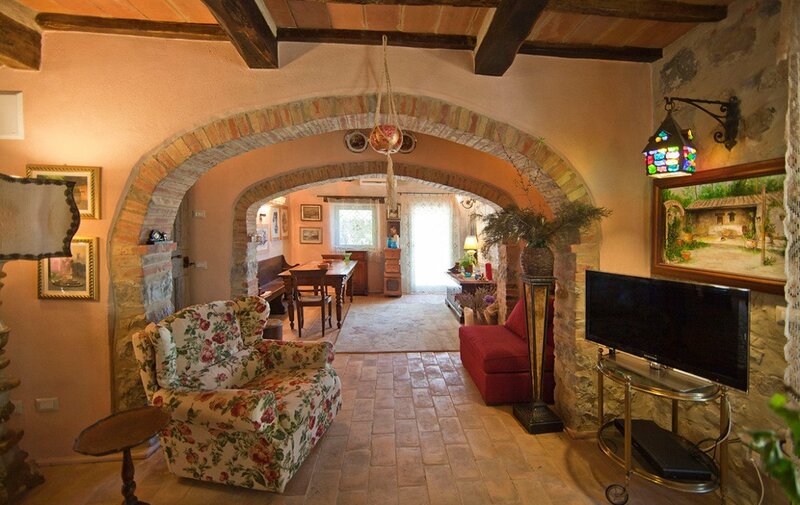 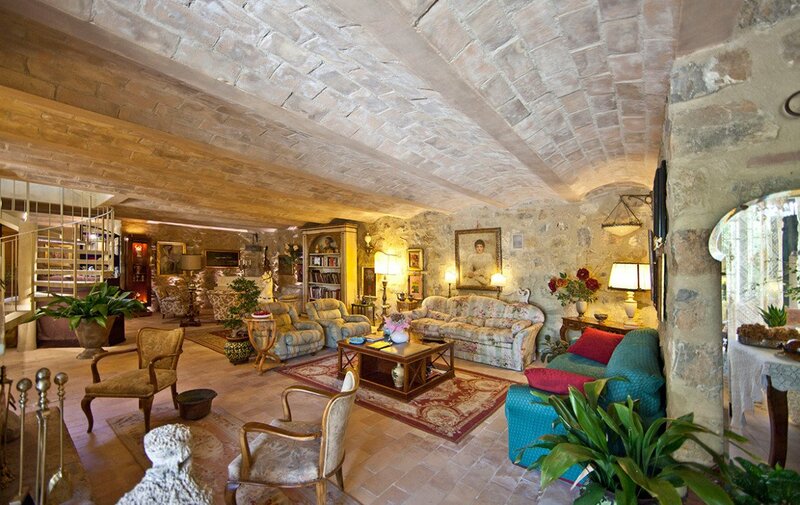 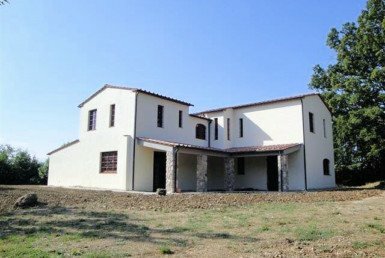 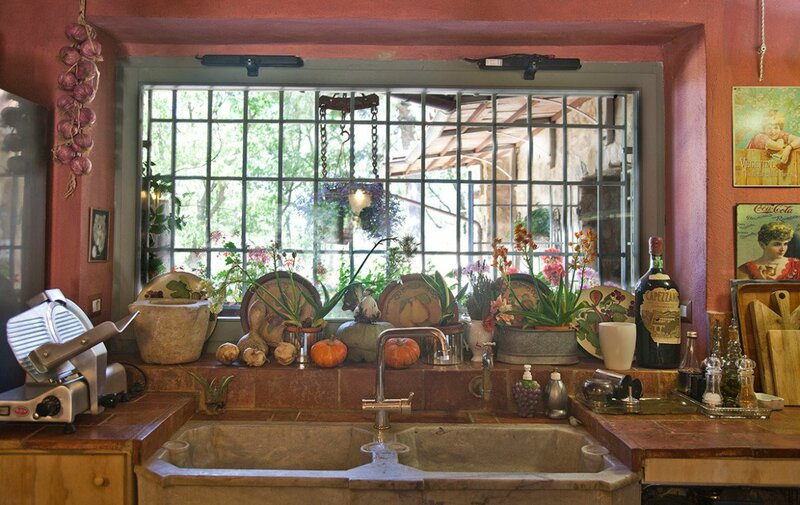 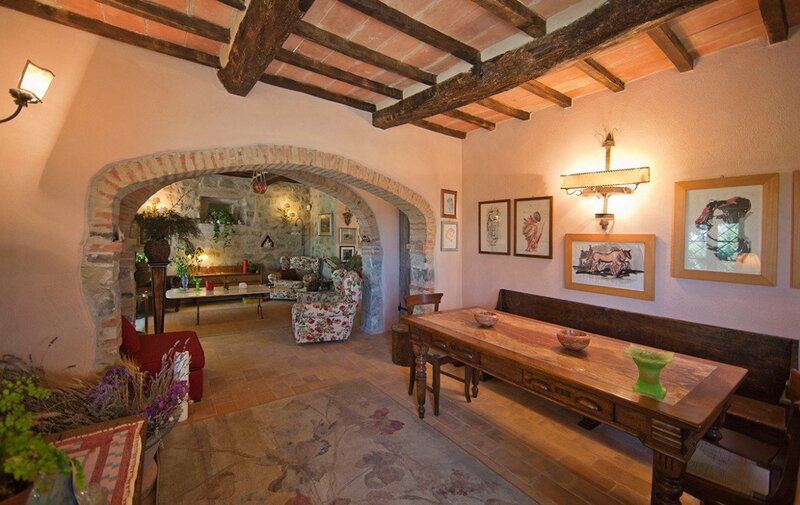 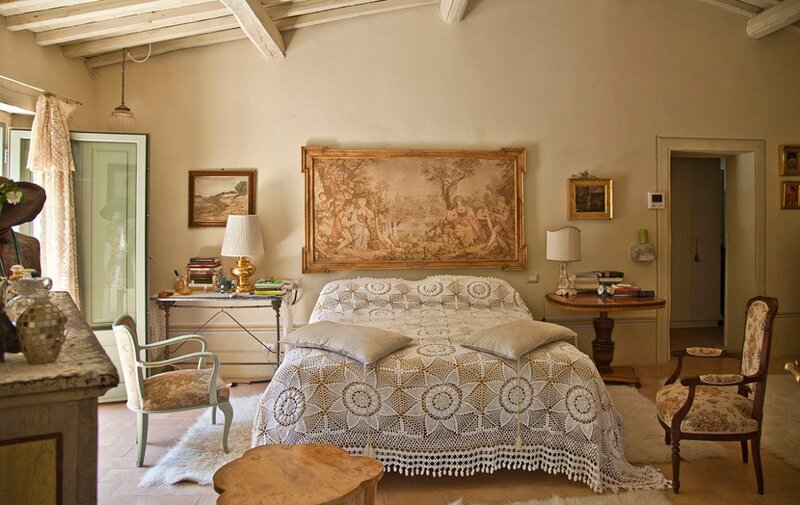 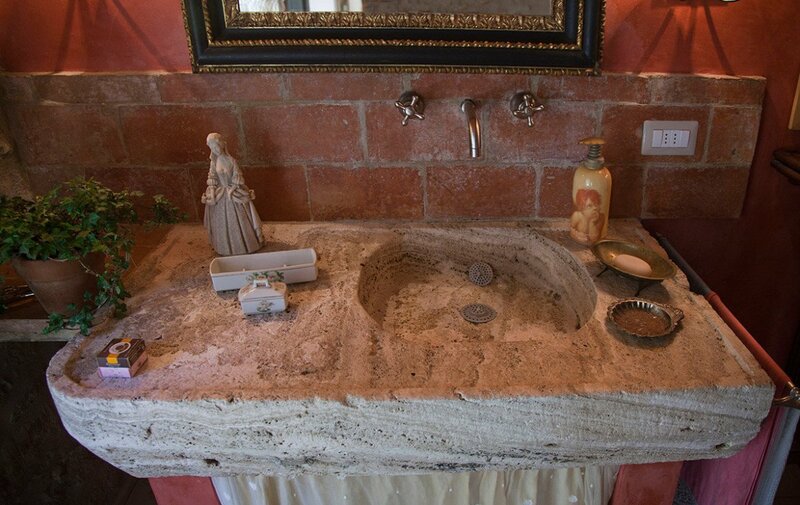 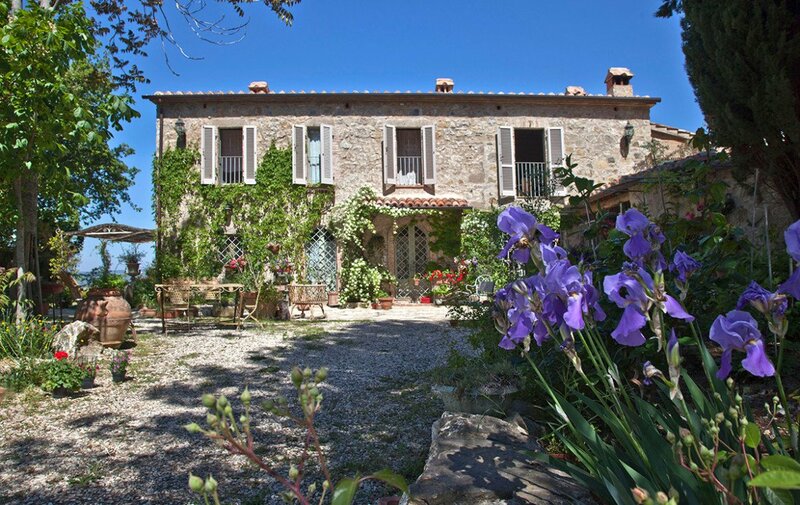 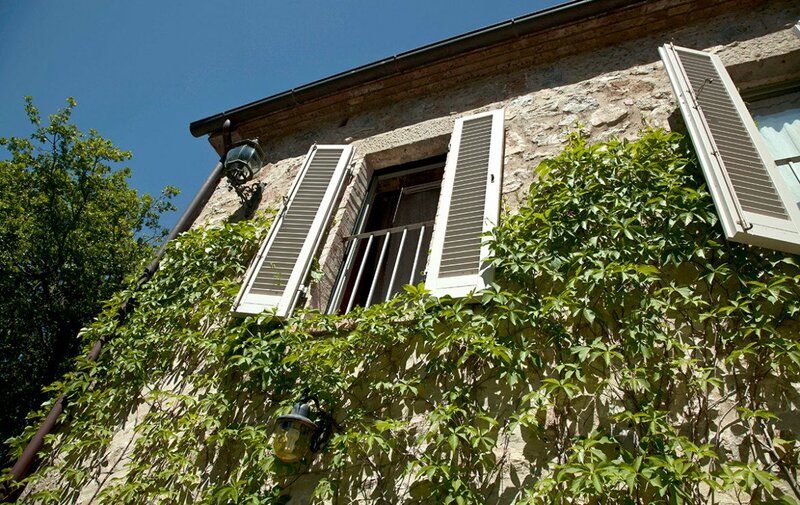 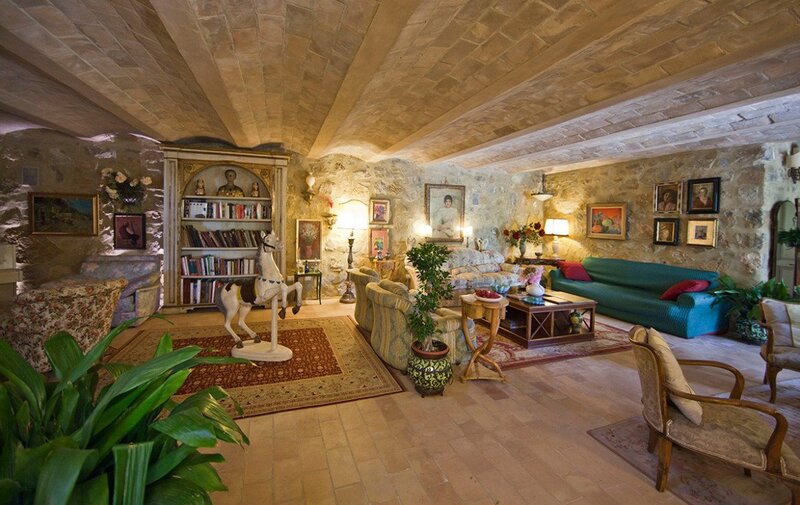 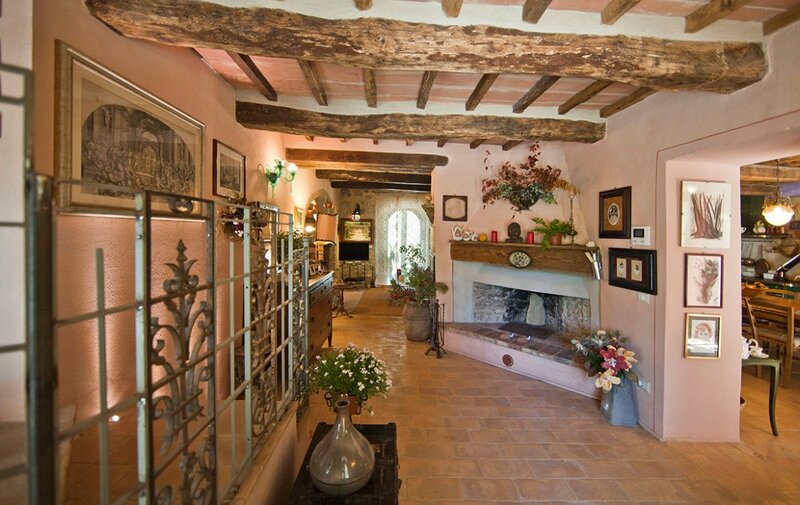 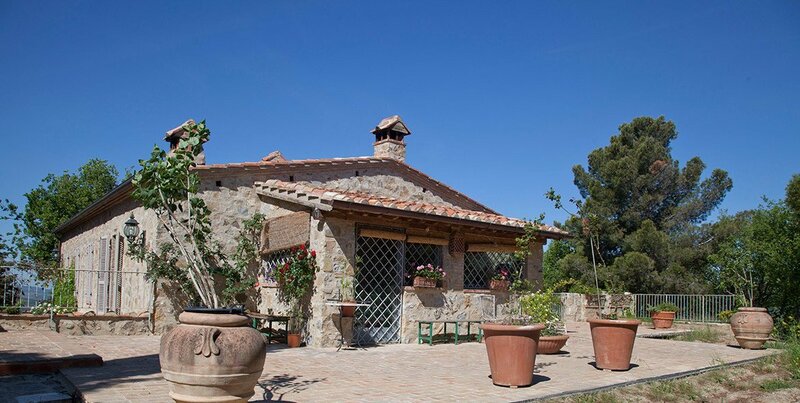 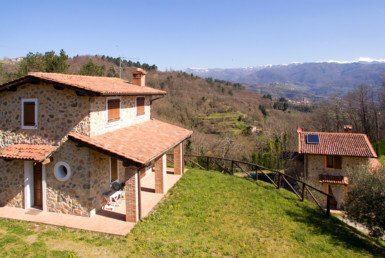 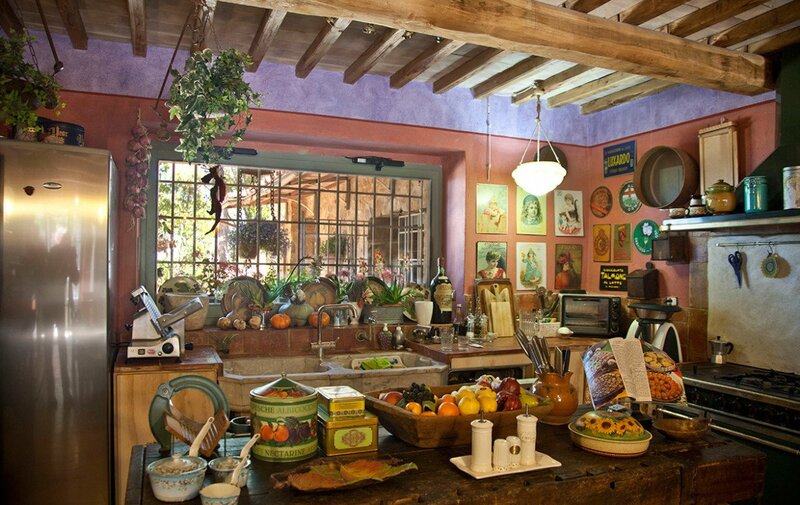 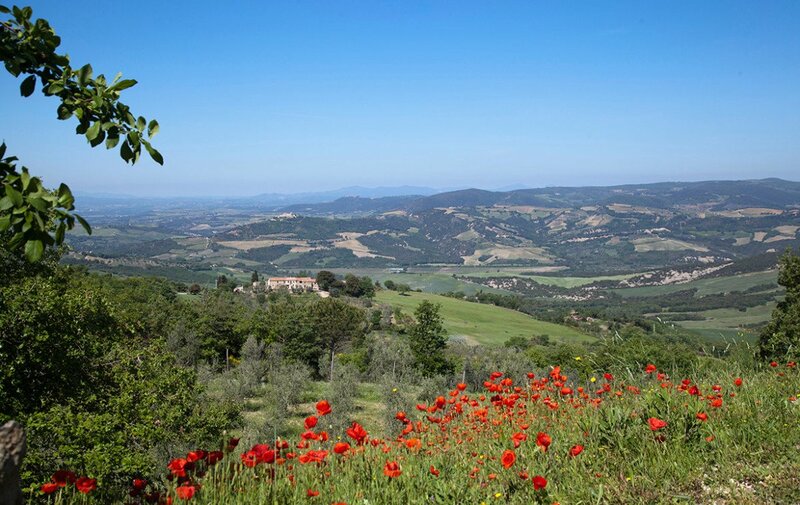 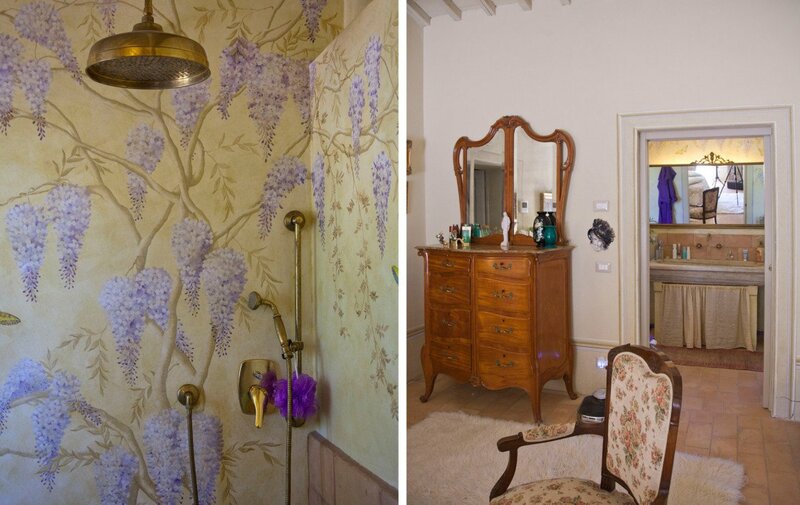 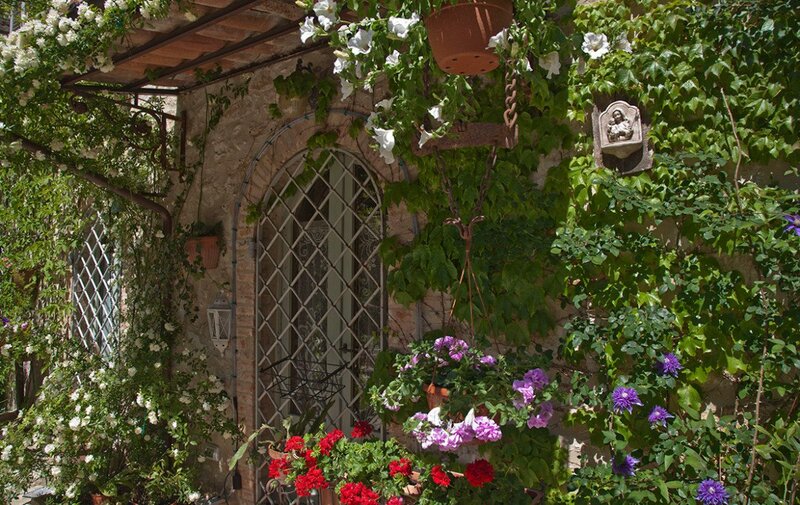 Charming country house overlooking the magical landscape of the Val D’Orcia. 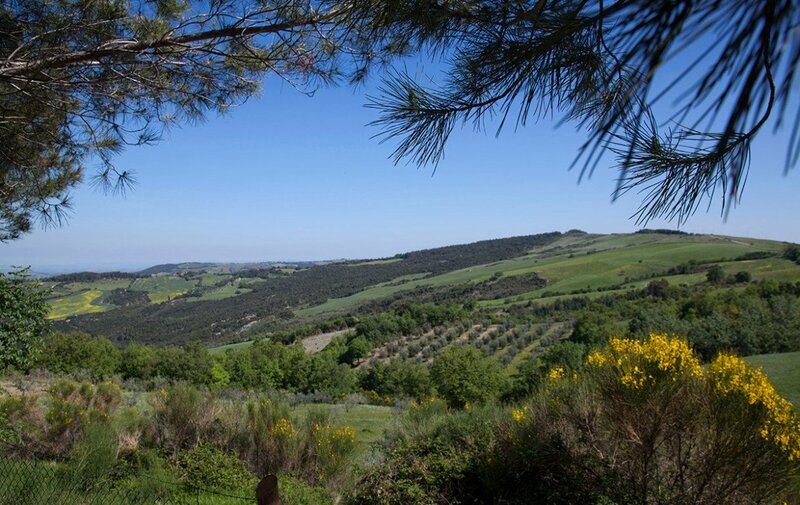 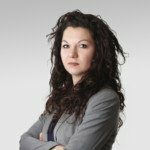 The property can be very easily reached through the provincial road until the last 400 meters gravel access road. 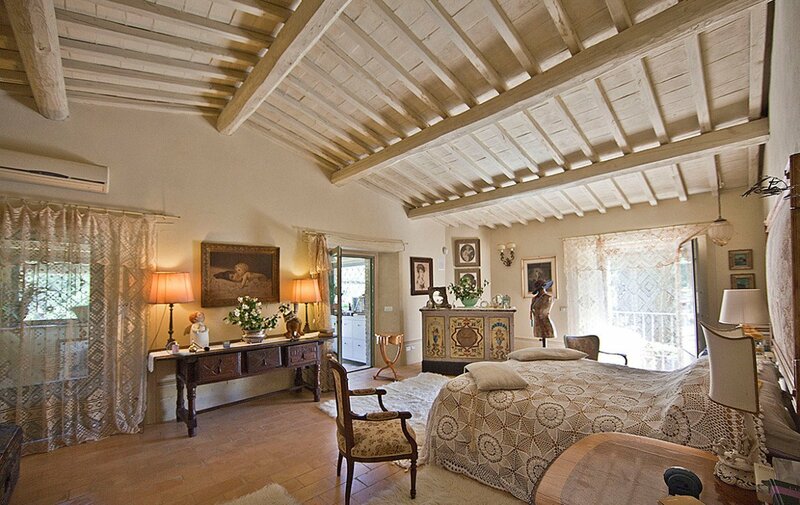 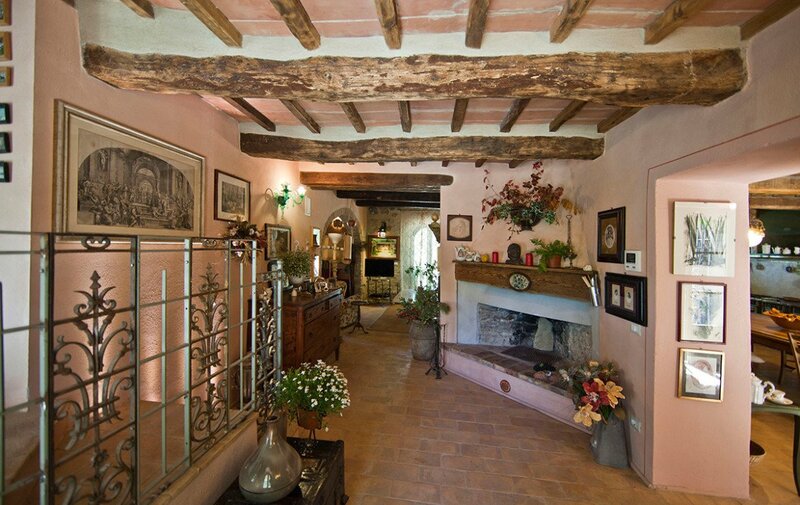 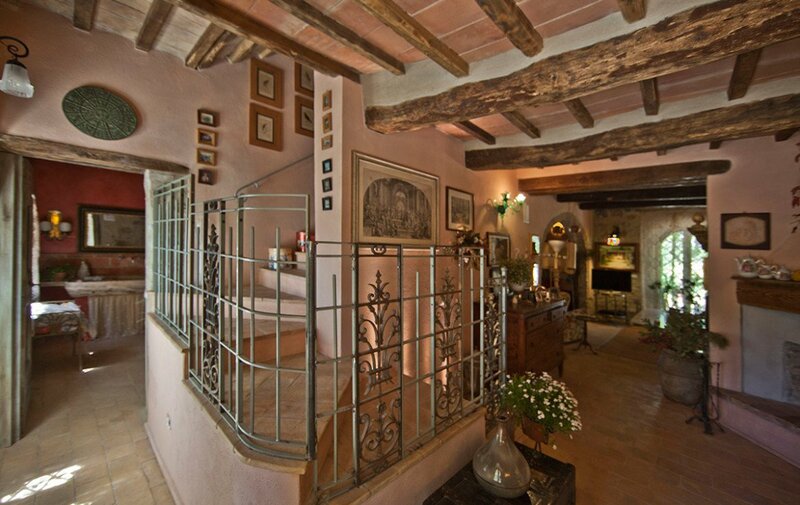 This villa reflects its history both in the interiors and in the exteriors. 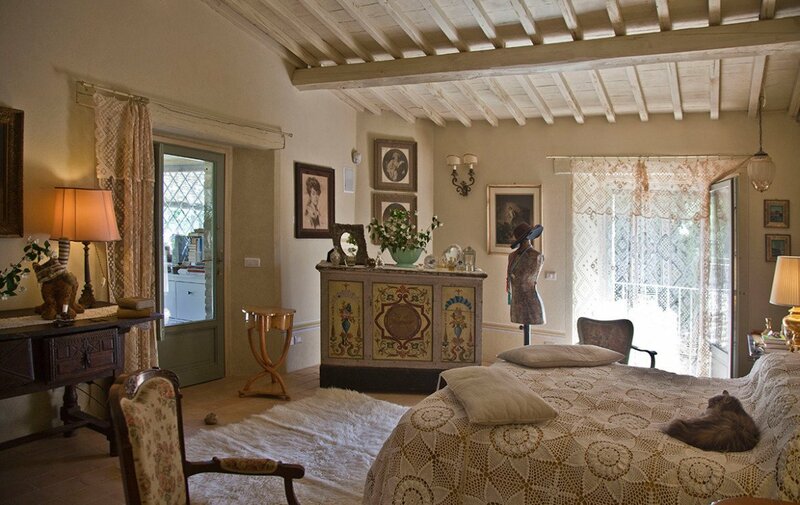 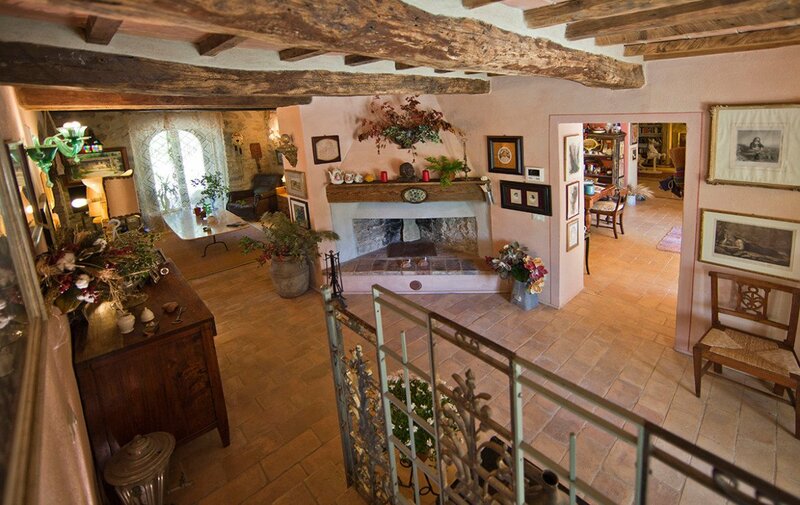 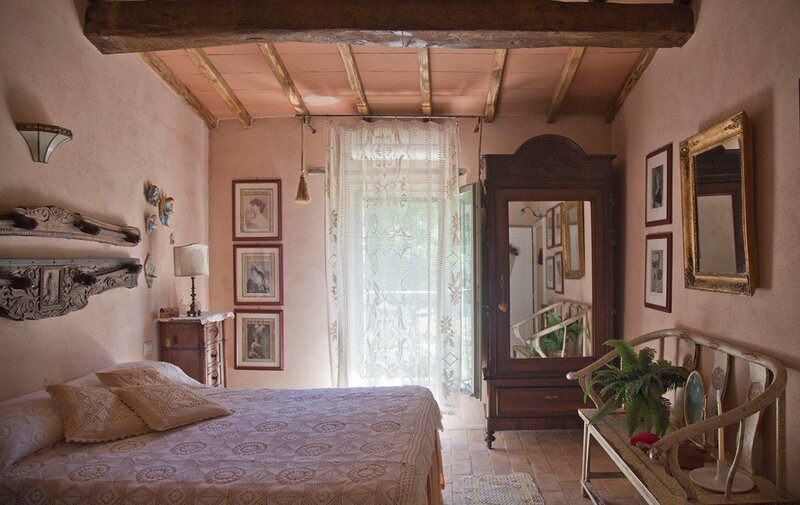 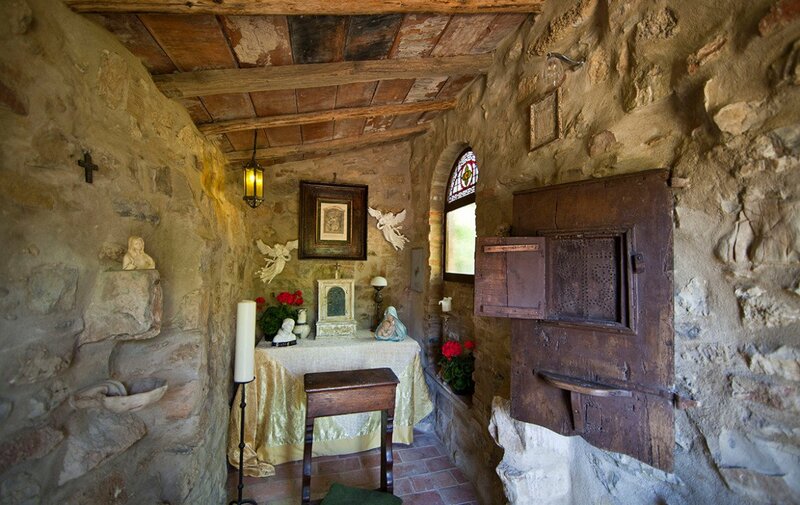 Every room has its own character, there is plenty of natural light, and it has been furnished mostly with antiques. 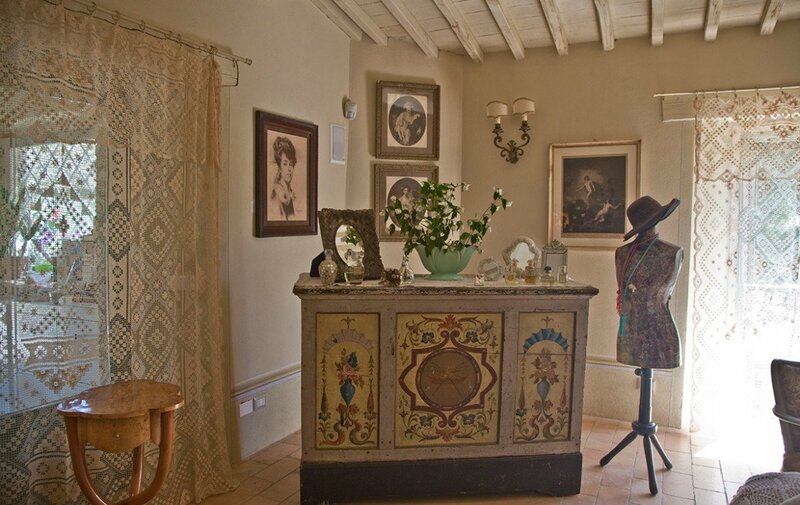 This is truly a breathtaking country house with attention to detail on every single object and plant, chosen providing a fantastic feel of leisure and understated luxury. 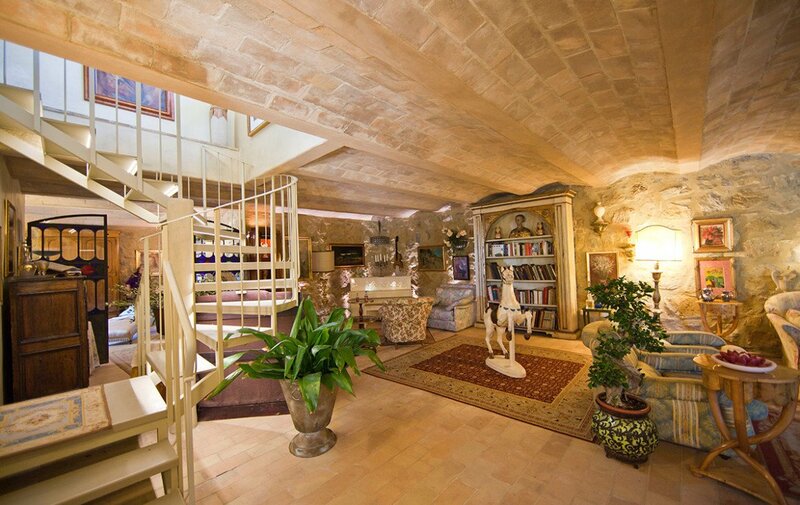  An important and unique feature is that the whole house can be circulated through. 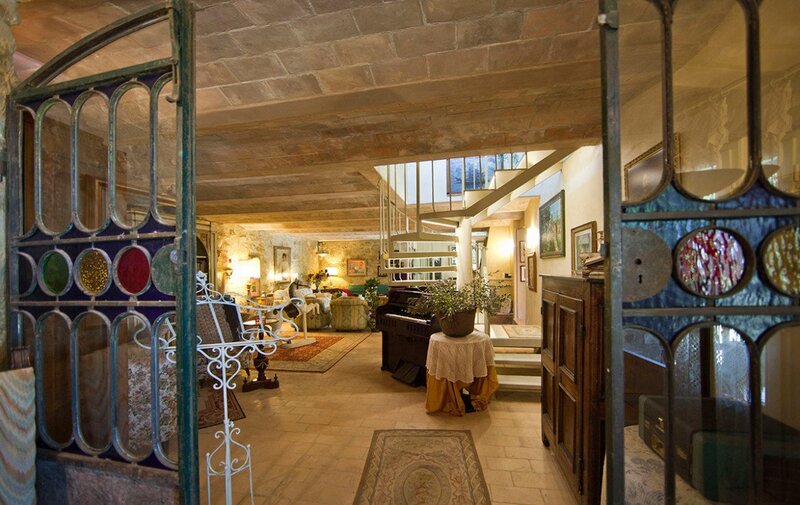 On the ground floor there are many entrances and connections with two stairs leading to the first floor where the bedrooms are. 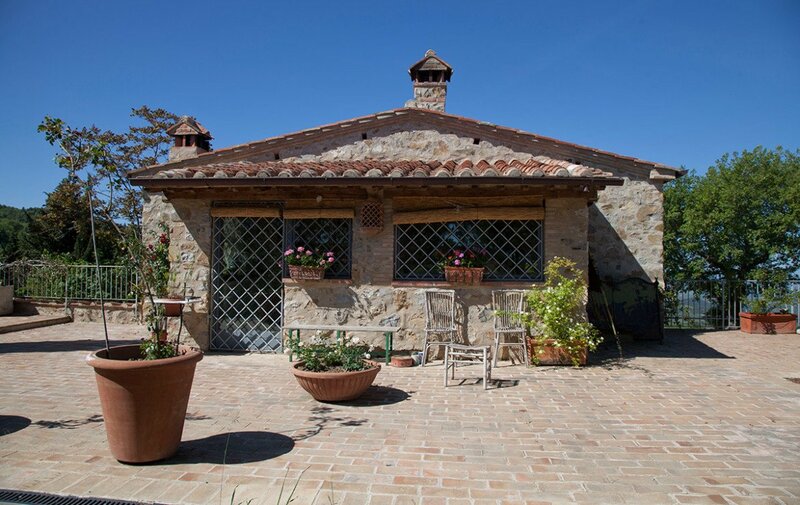 The ground floor has mostly the living areas, with reading spaces, music areas, grand living room, dining room, family room and play room plus a large live-in country kitchen furnished with professional appliances and every technology available. 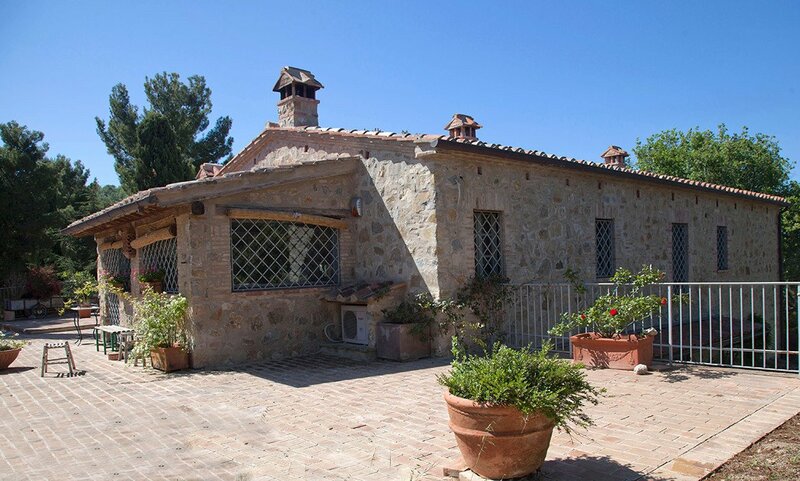 This dream country house has been rebuilt with every detail in place, alarm system, stereo system in every room, vacuum cleaner connection in every room and gate bell with video camera. 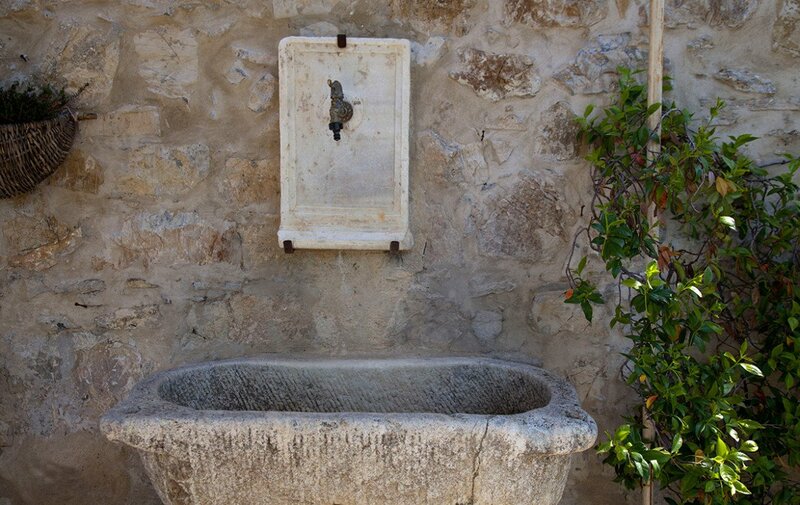 Throughout the land there are different fountains dating to Roman times, and the views from every cardinal point are outstanding and open, the garden area has electrical plugs and water hook-ups every 50 meters, and the whole property is central to is 11.5 hectares, olive grove and fruit orchard. 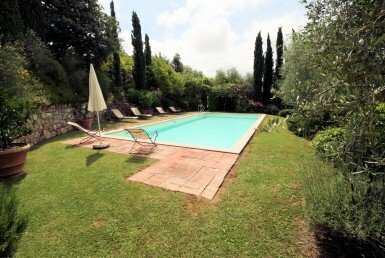 The property has the possibility of a pool being built and several spots have been identified for it. 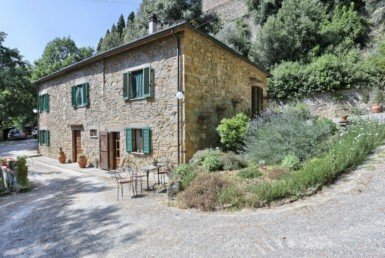 A plus about this property is its versatility to be the setting for a full time home, as its current owners, or a perfect setting for a B&B, due to its double circulation, and several entrances, and outdoor areas. 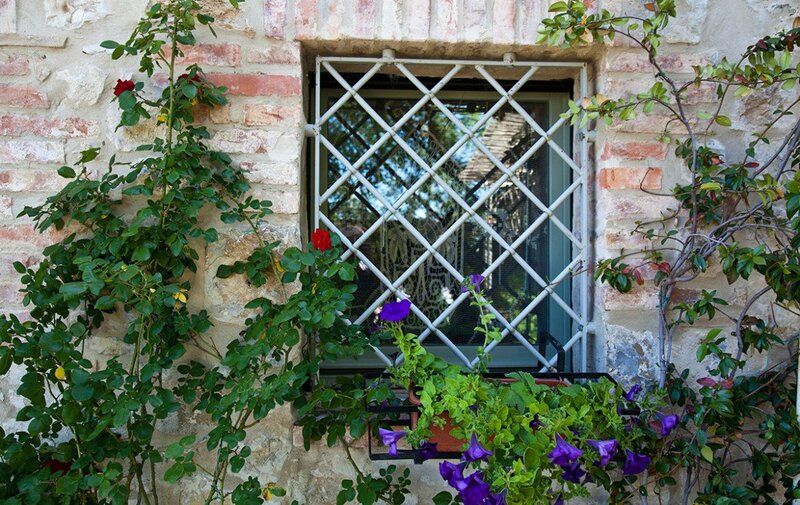 The views from every window and every terrace are outstandingly beautiful and varied.